When Wolf finds a fact-filled book in the library, he thinks he will at last outsmart his clever cousin Dog. Who knows more about robots, dragons, knights, and pirates? And what about setting traps, playing tricks, and chewing bones? 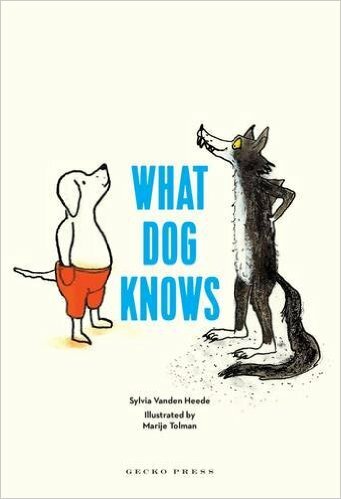 What Dog Knows is packed with information, activities, quizzes, rhymes, storiesand curious conversations between Wolf and Dog.